Cupcakes Wars. It’s About to Get Real. I timed us. 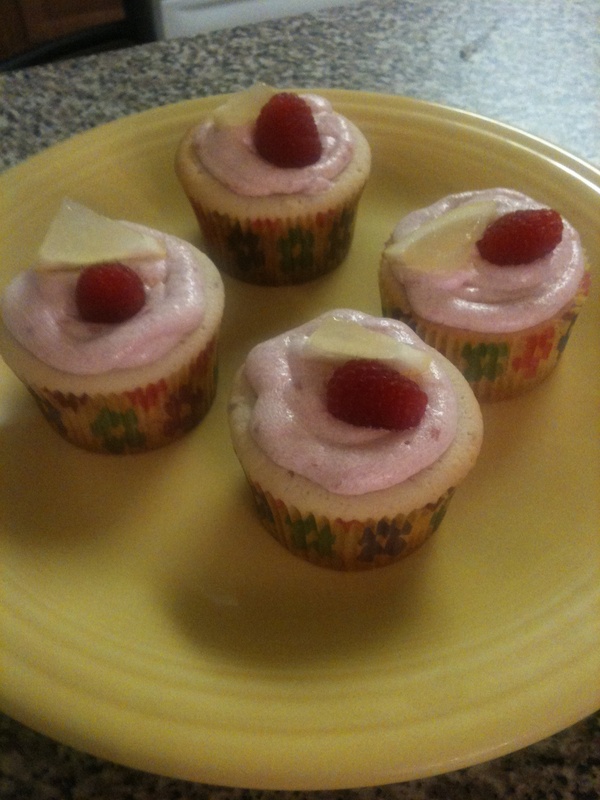 It took 92 minutes for Piper, Sissy, and me to make a dozen raspberry lemondade cupcakes. Yum. Sissy and I made the cake. From scratch. With fresh lemon juice, lemon zest, and homemade raspberry puree. Piper and I made the icing. From scratch. I have powdered sugar in my hair to prove it (Piper did the pouring). We aren’t ready for Cupcakes Wars, which happens to be our favorite show. During the first round of baking you have to make a dozen cupcakes in 30 minutes. If you make it to the final round, 1000 cupcakes in 2 hours. We aren’t prime time material. 92 minutes isn’t going to cut it. We may do okay in the taste test round, but then again, there weren’t any leftovers to share. Piper ate them all. This entry was posted in Antics and Adventures and tagged baking, Cupcake Wars, humor, lemon juice, lemon zest, making cupcakes with kids, parenting, piperism, strawberry lemonade cupcakes by melissa.scholes.young. Bookmark the permalink. Raspberry. Lemonade. Cupcakes. Next time you need to mail me one. Raspberry lemonade cupcakes are well known for inducing labor. I should probably overnight one just in case. YES. I heard they’re right up there with acupuncture and spicy foods.